Dorn’s Original Breakers Café, family owned and operated since its opening in 1942. Located only a block from the bay you’ll be able to enjoy glorious views of the ocean and Morro rock as you dine. 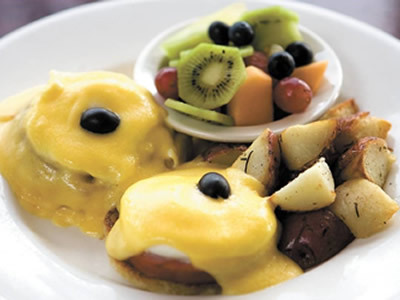 Dorn’s is open for breakfast, lunch and dinner, with a specialty brunch menu on the weekend including adult beverages. Of course, there are plenty of sea-food options on the menu but it doesn’t stop there. You will find land based favorites on the menu such as, pasta pomodoro, Chicken marsala, and hand cut New York Strips. You’ll find Dorn’s to have that homemade feel with many menu items being made from scratch, and recipes that have been handed down through the generations. The Staff at The Landing love Dorn’s so much we want our guests to be able to share in the experience. If you stay with us Sunday through Thursday, December 22nd, 2017 to May 25th 2018 you will receive a complimentary coupon for 10% your breakfast at Dorn’s. 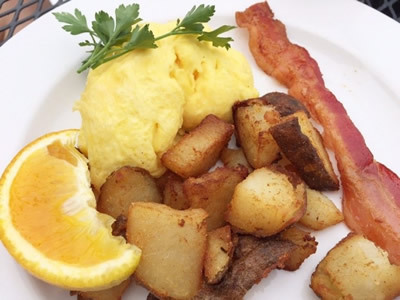 If you would like to see the full breakfast menu or get more information about Dorn’s Original Breakers Café please visit our partner’s page.